The results were awesome! 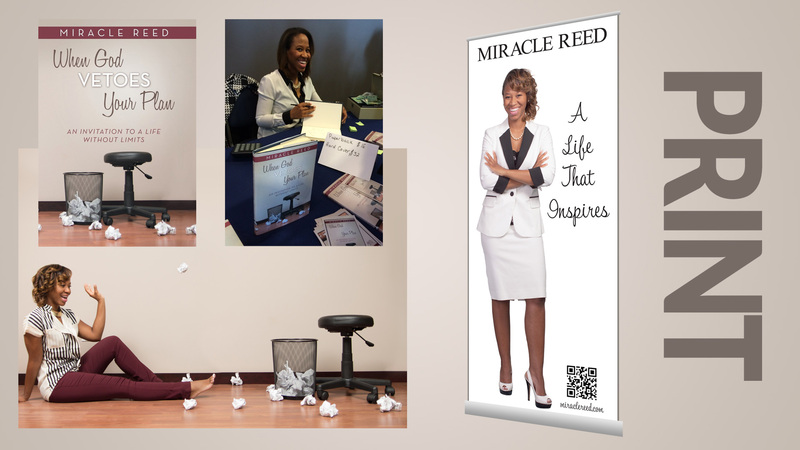 The studio pictures that we got of Miracle in her business suit were high quality and so clear, so when we blew her picture up to larger than life size it really printed well on the banner. We just love doing this kind of custom print production. 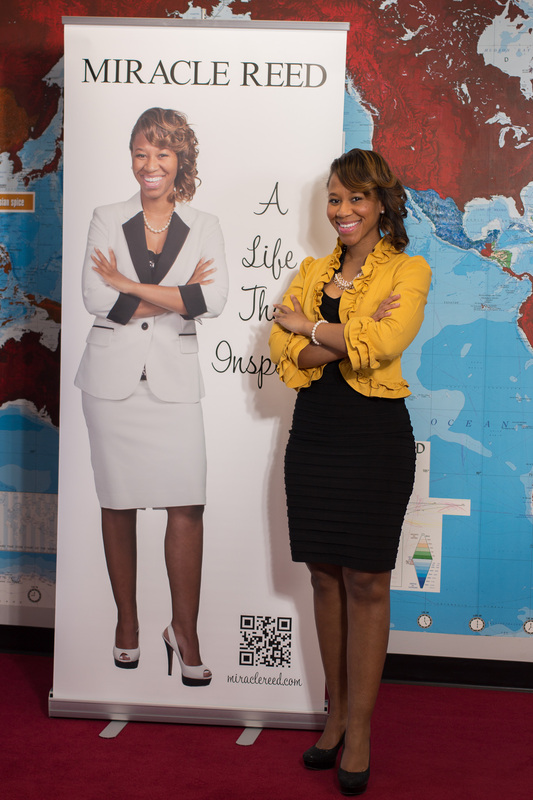 Here’s a picture of Miracle next to her banner after coming back from a trip. For several of our clients, their needs for photography only end up being for their website or promotional video, but most could really benefit from some studio or on-location photography that can be used for banners or other print material. Print is beginning to be less of a priority for the average business, but when you have a storefront or have customers that visit your location it’s always great to have signage and promotional materials to send with them check out our Print Production page to read more.